60 room property offering the amenities of a chain with the room rate of an independent. Smoking and Non-Smoking rooms. Our TV lineup is very extensive and includes over 60 channels including HBO, CNN, MSNBC, and the Disney Channel. Free Continental Breakfast for our guests. The rooms include refrigerators, hair dryers, and in-room coffee services. 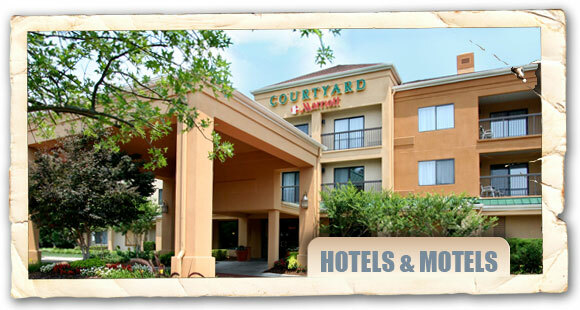 Conveniently located near many area restaurants and attractions. 100 rooms. Smoking/Non-Smoking. Conference room, pool. Free continental breakfast, remote color TV. 47 spacious guest rooms. Smoking/non-smoking rooms, suites available with kitchenettes. Handicapped rooms available. Cable connection in all rooms with free HBO and ESPN. Complimentary continental breakfast, microwave & refrigerators available. Free local calls. Small pets allowed. Outdoor pool. AAA, AARP, and senior discounts. (I-20, exit 92). 98 comfortable rooms, conveniently located near many popular area destinations. Amenities include one bedroom suites, Jacuzzi suites, cable television, and In-room microwaves and refrigerators. AAA, AARP, government, and military discounts available. Easy Interstate access. 127 rooms and suites/whirlpool rooms available. Made to order omelets with full breakfast buffet available and open to the public. Complimentary wireless internet throughout the building. All bed linens are freshly laundered prior to the guest's arrival. 32-inch flat screen TVs in each guestroom. Full service restaurant and bar serving breakfast, dinner and room service. Full service catering and conference/banquet facilities for up to 200 people. High tech training room for 36 people. Outdoor pool and spa. Complimentary laundry facility. Business center and exercise room. All guestrooms include spacious work desk, refrigerator, microwave, iron and board and coffeemaker. Click here to see our package deals and other special rates. 114 rooms feature upscale furnishings, triple-sheeted bedding and a pillow menu that has plush, quality options, 49-inch flat panel LCD HDTV, work desk, wet bar, microwave and fridge. The Galleria Bar and Grill offers American cuisine, kids under 12 eat free. Relax in the Grill and enjoy a cocktail or catch a game. Other amenities: business & fitness centers, indoor pool, convenience store and free Wi-Fi throughout the hotel. 2,376 sq. ft. of meeting space for hosting any type of event. 57 rooms, Kings, Queens with 2 beds, suites, kitchenettes, Jacuzzi rooms available, Pool, laundry, fax and copier services available. Pets allowed (fee charged). Free HBO, complimentary breakfast, in room coffee, iron/ironing board and blow dryers. I-77, exit 34. 58 rooms. Smoking/Non-Smoking. King and Queen beds. Jacuzzi and swimming pool, and exercise room. A/C. Restaurants nearby. 73% Non-Smoking executive rooms, suites and handicapped-accessible rooms. 92 rooms offering guests affordable luxury, courteous service, high quality amenities, uncommon comfort and 100% satisfaction guaranteed. Every over-sized room includes separate areas for sleep and work, a two line desk phone with speaker, data port, voice mail and conference call capabilities, 900 megahertz cordless phone, well-lit desk with executive chair, free local calls and long distance access, coffee maker, refrigerator, hair dryer, iron, full-sized ironing board, safe, 25-inch color TV with a free movie channel, interior corridors, electronic room entry, an on-property fitness center with a whirlpool, outdoor swimming pool, complimentary expanded deluxe continental breakfast and express check-in and check-out. 45 rooms. Pool, complimentary breakfast, microwaves & refrigerators, coffeemakers, hair dryers, and wireless high speed Internet in all rooms. Whirlpool suites, coin laundry, cable. 31 rooms. Smoking/Non-Smoking, king or double; Jacuzzi suites, meeting room, complimentary Continental breakfast, remote cable TV, micro-fridge, coffee maker, hair dryer, restaurant within walking distance. 60 rooms, 80% Non-Smoking. Suites and handicapped-accessible rooms. Offers value without sacrificing comfort and amenities. All king and queen rooms with Queen Anne and Lazy Boy recliners, wireless internet, full hot continental breakfast, lounge and meeting rooms, fitness center, business center, free local calls, guest voice mail, free guest laundry, work desk with ergonomics chair, rooms with refrigerators and microwaves. Pets allowed with fee. AAA/AARP discounts.